This Saturday, October 6, 2018 @ 4:30 - 7:00 PM in New York City: Join and connect with this powerful community of visionaries, changemakers, creators, entrepreneurs, artists, authors, and doers, who are creating the future – across business, education, entrepreneurship, government, media, philanthropy, policy, social innovation, and STEAM (science, technology, engineering, arts/music/literature/design, mathematics). Join us for a fun evening of cocktails, celebrating innovation, launching several exciting initiatives & connecting you with pioneering innovators in Silicon Alley! You are specially invited to join us at our Cocktails & Summer Launch Events - a collaboration of Womensphere, Space Apps NYC, Paine X MacTane, and the New York Bartending School! Join us in Manhattan on Saturday, October 6, 2018. Learn how to make the best summer cocktails from the New York Bartending School, the leading mixology and bartending school in New York City! Hear the amazing story of inventing 56 cocktails for the world’s top Sci-Fi show, #TheExpanse, by Hanne Madeline Gates Paine, of the famous duo Paine x MacTane! Enjoy 2.5 hours of Open Bar & delicious treats while connecting with inspiring innovators from Silicon Alley! And join us in the Fall Equinox Launch of the Womensphere Innovation Leadership Lab, the NASA Space Apps Global Challenge for New York by Space Apps NYC, and the Womensphere Cocktail Invention Contest! We kick off the Womensphere Innovation Leadership Lab (WILL), which empowers women and girls to use innovation and STEAM (science, technology, engineering, arts & design, mathematics) to create solutions for the challenges we face in our world and societies today. We start with three WILL global programs empowering young women in universities and colleges around the world, as well as girls in high school, to use STEAM to share their vision and solutions to the Global Goals for Sustainable Development: the Womensphere Global Codefest, Global Artfest, and Global Videofest. NASA's Space Apps Global Challenge is an international hackathon that occurs over 48 hours in cities around the world. Incubated and operated by NASA, and part of the Open Government Partnership, Space Apps is an annual event that pulls citizens together regardless of their background or skill level. 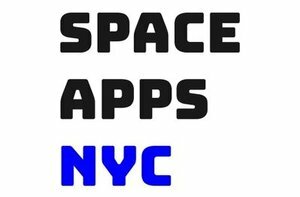 In New York, Space Apps NYC is the Official Host of the International Space Apps Challenge where New Yorkers get to tackle a global challenge using robotics, data visualization, hardware, design and many other specialties! Inspire each other while you learn and create using stories, code, design and, most of all, YOUR ideas. Show us your problem-solving skills and share your talents with the world! At this event, we invite you to a soft launch of the Womensphere Cocktail Invention Contest – inviting all (of legal drinking age) to use STEAM to invent the next generation of cocktails! How will your knowledge of chemistry, biology, neuroscience, psychology, or visual arts, help you invent the next cocktails? The actual competition will be in October during the Womensphere Fall Festival, but all interested participants (and tasters) should come join us this summer! Through our partnership and collaboration on these exciting initiatives, we aim to democratize and popularize inclusive innovation leadership and using STEAM for global challenges, across New York and all over the world. Join us as we launch these exciting initiatives this summer! Analisa Leonor Balares is Founder, CEO, and Chief Innovation Officer of Womensphere, a global platform for empowering women and girls to use STEAM, leadership, and innovation to create the future, and to help achieve the Global Goals for Sustainable Development. Analisa curates the Womensphere Summits & Festivals, and leads building the Womensphere Innovation Leadership Lab, Womensphere Incubator Network, and Womensphere Foundation. Previously, Analisa worked in Wall Street for Goldman Sachs, Morgan Stanley, and Milestone Capital, and in technology and social media for Microsoft and 85 Broads (now Ellevate). She is an alumna of Harvard Business School, Mount Holyoke College, and Lester Pearson United World College. Analisa is a NASA Datanaut, and is one of the Partners-Organizers of the Space Apps Global Challenge for New York City. She serves as a Commissioner of the Women’s Refugee Commission, Advisory Board Member of Music Beyond, Member of Women’s Forum of New York and International Women’s Forum, and Academy Member of the Global Teacher Prize. She also served as a Member of the Harvard Women’s Leadership Board, and L'Oreal's global advisory board for sustainability and social impact. 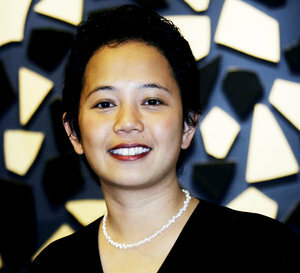 Analisa has been recognized as a UBS Global Visionary, Young Global Leader (by the World Economic Forum), and 100 Most Influential Filipinas of the World (by FWN). She has been honored with the Madam C.J. Walker Leadership Award by US National Minority Business Council, and Distinguished Leader Award by UN Women New York Chapter. Dr. Gavin Schmidt is the Director of the NASA Goddard Institute for Space Studies (GISS), and the Principal Investigator for the GISS ModelE Earth System Model. Dr. Schmidt’s leadership and work is focused on understanding past, present and future climate, and the impacts of multiple drivers of climate change. The NASA Goddard Institute for Space Studies is a laboratory in the Earth Sciences Division (ESD) of the National Aeronautics and Space Administration's (NASA) Goddard Space Flight Center, and is is focused on studying and understanding the structure of Earth, Moon, and other planetary bodies; the atmospheres of Earth and the other planets; the origin and evolution of the solar system; the properties of interplanetary plasma; Sun-Earth relations; and the structure and evolution of stars. The institute was sited in New York on the premise that conducting theoretical research in the space sciences would be facilitated by being near the leading universities in the greater metropolitan area. The institute's early study of the Earth and planetary atmospheres using data collected by satellites, space probes, and space probes eventually led to GISS becoming a leading center of atmospheric modeling and of climate change. A key objective of NASA GISS work is prediction of atmospheric and climate changes in the 21st century. The research combines analysis of comprehensive global datasets with global models of atmospheric, land surface, and oceanic processes. Study of past climate change on Earth and of other planetary atmospheres serves as a useful tool in assessing our general understanding of the atmosphere and its evolution. Program areas at GISS may be roughly divided into the categories of climate forcings; climate model development; Earth observations; atmospheric radiation; atmospheric chemistry; climate impacts; planetary atmospheres, exoplanets, and astrobiology; paleoclimate; and other disciplines. Hanne Madeleine Gates Paine is a celebrated cocktail inventor, and Program Director at Womensphere. Hanne has co-invented 56 cocktails for popular Sci Fi/Amazon Prime TV show, The Expanse, which the lead actors and producers themselves have enjoyed, and will be sharing the story of her cocktail inventions at this event. Hanne is also past COO of hackNY. hackNY aims to federate the next generation of hackers for the New York innovation community. Co-organized by faculty from NYU and Columbia, hackNY has since February 2010 organized the hackNY Fellows program and hackNY student hackathons to create and empower a community of student-technologists. Hanne has previously worked at NASA, Google, Green Map Systems, and Betterpath. Hanne also works with Kagan MacTane on Paine X MacTane on exciting immersive media experiences, inventing new languages, and inventing new cocktails for the popular Sci-Fi TV Show, The Expanse. Hanne is an Expanse superfan who has been instrumental in co-leading the #SaveTheExpanse efforts, popularizing The Expanse culture and fictional language (Lang Belta or Belter Creole), and organizing the epic, star-studded The Expanse Season 3 Finale Party. Hanne teaches immersive Lang Belta classes at Sci-Fi cons in the US, Canada, and Europe. Joseph Spens is the Executive Director of Space Apps NYC — a non-profit grassroots organization which hosts the annual NASA Space Apps Challenge in New York. By organizing events at the intersection of space science and creativity, Space Apps NYC promotes STEAM initiatives in New York communities underrepresented in those fields. Space Apps NYC is a founding location — and recurring main stage — for NASA’s Global Space Apps Challenge, innovating the new space industry over a weekend of extreme problem solving. In addition to volunteering for the NYC space community, Joseph is a full time software engineer and has a background in architecting web applications. He has been immersed as a technology leader in Silicon Alley, working as a systems architect and technical lead for e-commerce and health technology startups in New York City. Together with Hanne Paine, Joseph hosted and co-organized this year’s epic, star-studded The Expanse Season 3 Finale Party at SAP Next Gen. The partnership of Space Apps NYC and Womensphere, and the new Womensphere Innovation Leadership Lab, will democratize technology education in New York, popularizing space technologies and using technology and innovation for social good, among aspiring innovators from all boroughs of New York, from students to professionals, across all races, genders, and economic groups.